Villach ( /?f?lax/ ; Slovene: , Italian: , Friulian: ) is the seventh-largest city in Austria and the second-largest in the federal state of Carinthia. It represents an important traffic junction for southern Austria and the whole Alpe-Adria region. As of December 2006, the population is 58,480. Together with other Alpine towns Villach engages in the Alpine Town of the Year Association for the implementation of the Alpine Convention to achieve sustainable development in the Alpine Arc. In 1997, Villach was the first town to be awarded Alpine Town of the Year. 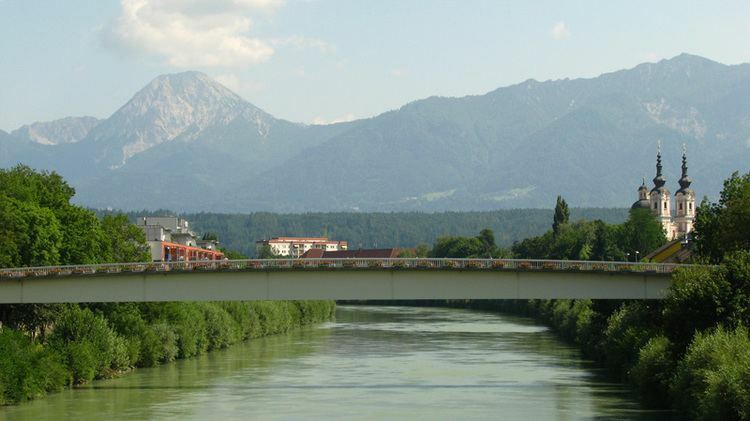 Villach, a statutory city, is located on the Drava (Drau) River near the confluence with the Gail tributary. Situated at the western rim of the Klagenfurt basin, the municipal area stretches from the slopes of the Gailtal Alps (Mt. Dobratsch) down to Lake Ossiach in the northeast. 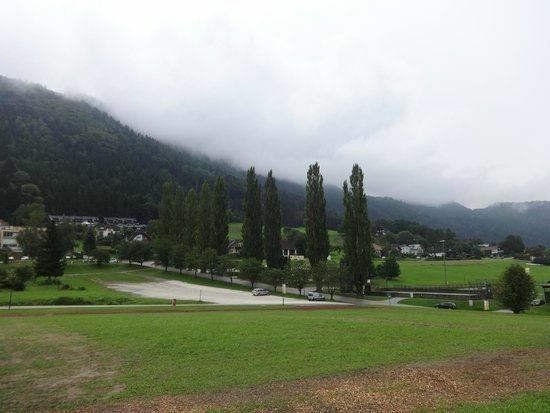 In 1905 a part of the municipal area St. Martin was incorporated. In 1973 the city area was further enlarged through the incorporation of Landskron, Maria Gail and Fellach. 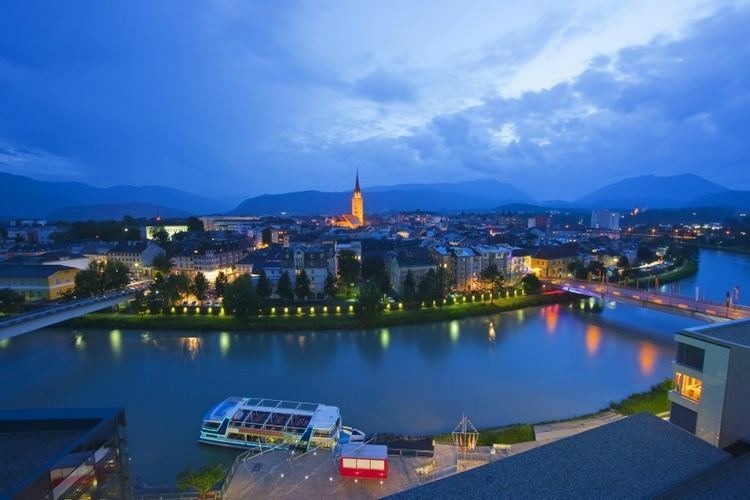 The oldest human traces found in Villach date back to the Neolithic. Many Roman artifacts have been discovered in the city, as it was near an important Roman road (today called Romerweg) from Italy into the Noricum province established in 15 BC. A mansio named Sanctium was probably located at the hot spring in Warmbad south of the city centre. After the Slavic settlement of the Eastern Alps about 600, the area was part of the Carantania principality, and under Bavarian overlordship from about 740. An 878 deed of donation, issued by the Carolingian ruler Carloman of Bavaria, mentions a bridge in what is today Villach. In 979 Emperor Otto II enfeoffed Bishop Albuin of Brixen with the Villach manor. The adjacent settlement was given to the Bishopric of Bamberg in 1007 and received market town status in 1060, though Villach was not mentioned as a town in records until 1240. The first mayor took office in the 16th century. The 1348 Friuli earthquake destroyed a large parts of the town, another devastating earthquake occurred in 1690. There were also several fires in Villach, which destroyed many buildings. From 1526 onwards, many citizens turned Protestant, which entailed harsh Counter-Reformation measures by the ecclesiastical rulers, forcing numerous residents to leave the town and precipitating the economic decline. In 1759 the Habsburg empress Maria Theresa formally purchased the Bamberg territories in Carinthia for a price of one million guldens. Villach was incorporated into the lands of the Habsburg Monarchy and became the administrative seat of a Carinthian district. During the Napoleonic Wars, the city was part of the French Illyrian provinces from 1809, until it was re-conquered by the forces of the Austrian Empire in 1813. The citys economy was decisively promoted by the Sudbahn railway, which finally reached Villach in 1864, providing growth and expansion. In World War I, the town near the Italian front was the seat of the 10th Army command of the Austro-Hungarian Army. During the period of the Austrian Anschluss to Nazi Germany (1938–45), the mayor of Villach was Oskar Kraus, an enthusiastic Nazi. A memorial for the 1919 border conflict that led to the Carinthian Plebiscite caused controversy when it was inaugurated in 2002, as Kraus, who had not been especially prominent in the conflict, was the only person named. During World War II, allied forces bombed Villach 37 times. About 42,500 bombs killed 300 people and damaged 85% of the buildings. Nevertheless the city quickly recovered. 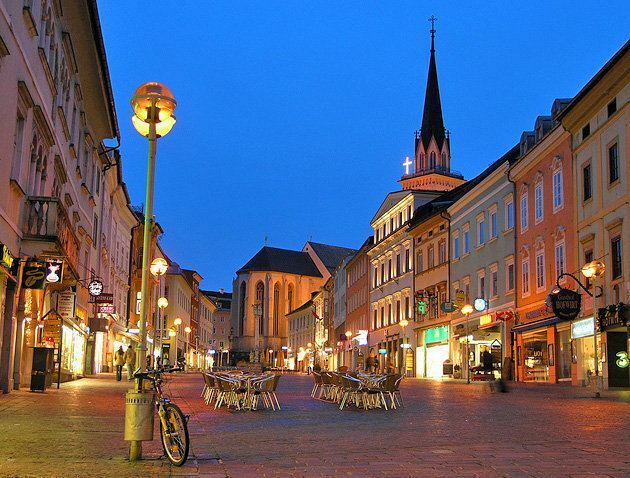 Today, Villach is a bustling city with commerce and recreation, yet it retains its historic background.